I’m an organized gal, so when I receive an agenda and/or notes from someone via e-mail that pertain to an upcoming meeting or particular event,Â I copy the contents of the e-mail and paste it into my Outlook calendar event in the notes field. The same procedure can be applied to notes, tasks etc. Sychronize with your PDA and you will have all your ducks in a row for your upcoming meeting. There’s no need to print! 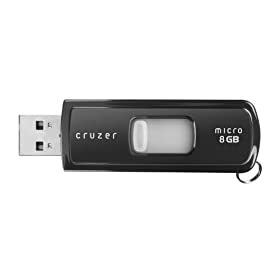 One of these itty bitty guy can hold approximately 2,000 songs, 3,000 photos, hundreds to thousands of documents, or a mixture of the above. In most cases, it can hold the entire contents of your Outlook program and much more. I use one to save/backup certain files and another one to take with me to share or look at files when I’m away from my office. Learn how to use these and many other computers tools. Don’t the let your computer control you…Learn how to control your computer! Microsoft Outlook is a tool to make our lives simpler. Though many of you have the program, perhaps you don’t know how to manage it well. Outlook manages e-mail, calendar, contacts, tasks, comments, ideas, notes, and comes equipped with alarms, reminders and other bells and whistles. Outlook provides a home for all the information our brain is TRYING to remember. Once the information is stored in the computer, we can let go and be free to do other things. Synchronizing with a PDA makes life easier to breath for those who travel or are frequently away from the office. When we’re constantly trying to remember ‘to-do’s,’ ‘appointments,’ ‘ideas,’ ‘tasks,’ precious headroom is being wasted! What we want is space in our minds – to free ourselves of unnecessary tension and to do the things that will keep us moving forward. We want peace of mind. The Work Organizer aims to reduce stress and increase efficiency with clients. Learn how to manage your schedule so that it doesn’t control you. Hold down the ‘Cntrl’ key while scrolling with your mouse. Type into a cell, and when you want to have it wrap to the next line, hit ‘alt’ + ‘enter’ and the cursor will take you to the next line. When working in Excel, my spreadsheets often exceed one page. From the Menu bar in Excel, pull down â€˜Viewâ€™ to â€˜Header & Footer,â€™â€™ click on the â€˜Sheetâ€™ tab. Click on â€œPrint titlesâ€ and select the rows youâ€™d like to repeat by highlighting them and click OK.
Change lower case to Capital LETTERS Highlight your text and hold down Shift + F3; it turns your lower case into capital letters â€“ Toggle back and forth for different effects. When using Excel, Word, Powerpoint: While in a document, hold down the Ctrl key on your keyboard and then turn the small wheel in the middle of your mouse away from or towards you; the print size will change â€“ it will either get larger or smaller depending on which way you turn the wheel â€“ Try it!